California State Parks is proud to announce Essential Art: Native Basketry from the California Indian Heritage Center by Brian Bibby. 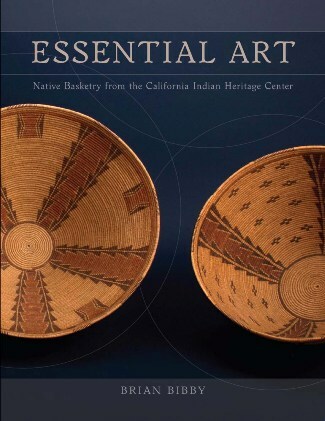 The catalog of the California Native basketry collection in the stewardship of the State Indian Museum/California Indian Heritage Center, this book offers a glimpse into one of the most culturally valuable and diverse collections of California Indian basketry anywhere in the world. Feature articles and stunning photos illustrate the history of this unique collection. It also features the background story of several of the Native women whose baskets are curated at the museum, and provides a peek into a world where basketry was part of everyday life.